Carbon emissions are acidifying the ocean so quickly that the seafloor is disintegrating. 1 Nov 2018 – According to a study published this week in PNAS , this sets off a feedback loop that acidifies the ocean even more quickly, a process that is already killing off foundational marine life species such as coral and threatening the balance of all ocean ecosystems on which we depend. “Our study confirms that humans are now a geological force capable of impacting the Earth’s system, like a super-volcano or a meteoritic impact,” Olivier Sulpis, an earth science researcher at McGill University and lead author on the study, said to Motherboard in an email. The root of the problem is that a foundational chemical reaction that keeps the oceans at pH levels that are conducive to life is being thrown out of whack. Calcium carbonate, or calcite, lines the ocean floor. When calcite combines with carbon dioxide and water, the reaction produces calcium ions and bicarbonate ions. Because of this, the surrounding water becomes less acidic over long periods of time—think tens to thousands of years. But when you throw more carbon dioxide into the equation, all of the seafloor calcite starts to get used up to power these reactions in extremely large amounts, meaning that the ocean floor is dissolving. Now, there’s not enough calcite but more carbon dioxide than ever, driving up acidity levels. Foundational species in the marine food chain, such as coral, are fine-tuned to thrive within a very particular range of pH levels. When those levels change for a long period of time, these species—as well as the fish, bacteria, mollusks, and ocean life that depends on them—simply can’t survive. The last time the oceans were as acidic as they are now, 96 percent of ocean life was extinct. According to Sulpis, calcium carbonate is still dissolving carbon dioxide in the water, which means there is still a chemical force fighting against ocean acidification. But the rate at which we’re emitting carbon dioxide, which then gets absorbed by the ocean, is far greater and faster than the rate at which carbon dioxide gets taken up by calcium carbonate on the ocean floor. Just how bad is the damage? According to the study, in the northwest Atlantic Ocean, adjacent to Europe, 40 to 100 percent of the seafloor has been dissolved at the most severe locations. Supis told Motherboard in an email that the dissolution is worst in the northwest Atlantic because the ocean currents corral human-made carbon dioxide to the region in massive quantities. The more carbon dioxide, the more difficult it is for calcium carbonate to react and dissolve the molecule. According to the paper, until now there’s been no concerted assessment of carbon dioxide-driven dissolution of the seafloor. There are practical obstacles to mapping the entirety of the ocean floor—namely, it’s expensive, difficult, and dangerous. Sulpis told Motherboard it would simply be impossible to get samples from the entire ocean floor to conduct a physical survey of the changes down there. “Real observations of calcite dissolving in-situ at the seafloor are very challenging to obtain because we would have to, first, reach the bottom of the sea and, second, stay there long enough so that we can measure some significant dissolution, which could take many decades,” Sulpis said. For that reason, it’s only possible to get this type of information through oceanic modeling and analysis. In order to understand the full extent of how we’ve affected the chemistry of the ocean, scientists will need to conduct studies on the ocean floor through a combination of mathematical modeling—which was done for this study—and real-life sampling. But the deadly consequences of our actions are already in motion. 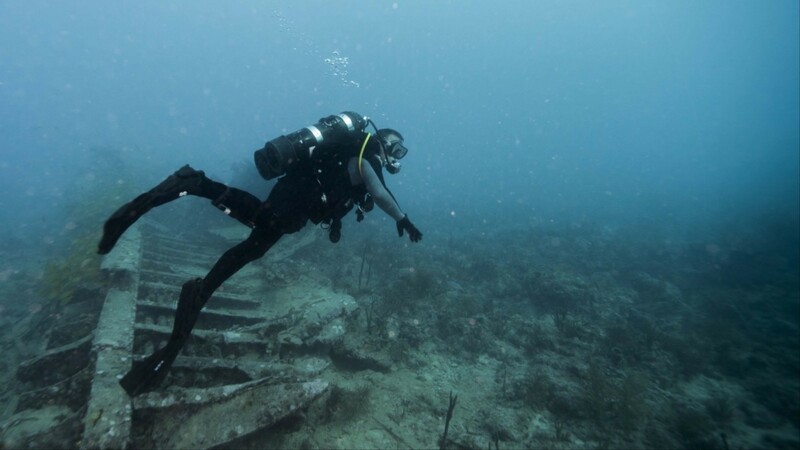 Based on our most optimistic forecasts for ocean acidification, which assume that we fundamentally restructure our society in order to mitigate climate change, 90 percent of coral reef communities will bleach by 2100. In short, we’re in trouble.